When African leaders launched a competition for the creation of a new African Union flag in 2007, they had no idea how far-flung the results would be. In fact, 106 designs were entered from 19 African countries and two from Diaspora communities—including Seattle. Which is where the winning design came from. Earlier this year the AU chose the flag designed by UW staffer Yadesa Bojia (right), a Housing & Food Services graphic designer, to represent the AU and its 53 member countries. 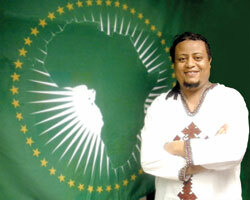 Bojia says he was compelled to enter the competition in response to the admiration he has for the AU for its struggle to eradicate Apartheid and for its ability to get African leaders to engage in discussion on the vast issues affecting the continent. His flag represents the continent’s future more than its past, he says. 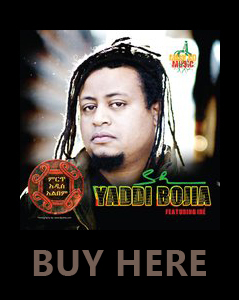 An artist before he even left Africa, Bojia came to the U.S. from Ethiopia in 1995 to pursue his education, earning degrees in graphic design and illustration, and in visual communications. Now, his flag flies in front of the United Nations.